This resin technology has been an industry standard in seamless flooring for decades. It’s widely known and broadly utilized for protecting and strengthening concrete surfaces. Epoxy primers are still most often used for their excellent wetting, penetration, and adhesion to concrete substrates. Epoxy hybrids like our 100% solids Moisture◊BLOK (MB) also serve well as a topside barrier in mitigating moisture vapor transmission, and in protecting the investment of the finished flooring system installed over it. Our standard ProPoxy is a highly economical workhorse epoxy resin, 100% solids, versatile and easy to install, whether it’s a smooth, pigmented 2-coat system for lighter traffic & exposure; a broadcasted or troweled mortar with finely graded silica sand aggregates for heavier duty applications; or combined with light-reactive pigments, polymer flake, mica, or ceramic quartz for both decorative and hard wearing applications. Integral cove allows for these seamless flooring applications to continue up onto the wall base typically at 4”, 6”, or 8” in height. Microbe◊BLOK, a factory installed antimicrobial film preservative is available when hygiene & sanitation are critical considerations. All of the ProRez epoxies can be field-tinted with our ProColor Universal Colorants. Reference the technical data sheets below for each product for more details. ProPoxy Moisture◊BLOK (MB) is a clear two component, low odor, 100% solids membrane-forming, moisture vapor control system for on or below grade concrete slabs. This uniquely formulated hybrid epoxy has been specially designed for faster cure and maximum moisture vapor protection while reducing the risk of outgassing & “fish eyes” typically associated with porous & contaminated concrete. ProPoxy MB primer system can be used under all ProREZ seamless flooring materials. Reference technical data sheet for more information. 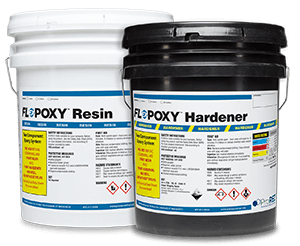 ProPoxy is a uniquely versatile and proprietary epoxy coating system balancing “open” or “working time” with standard and fast cure times. 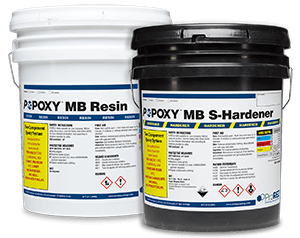 ProPoxy is a clear two component thermosetting, low odor, 100% solids polymer designed for various conditions and substrates. 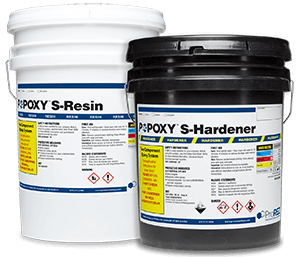 ProPoxy SL is also, a low odor, 100% solids epoxy designed for high-build 60-100 mil self-leveling systems with our special ProFill SL filler blend. Reference technical data sheet for more information. 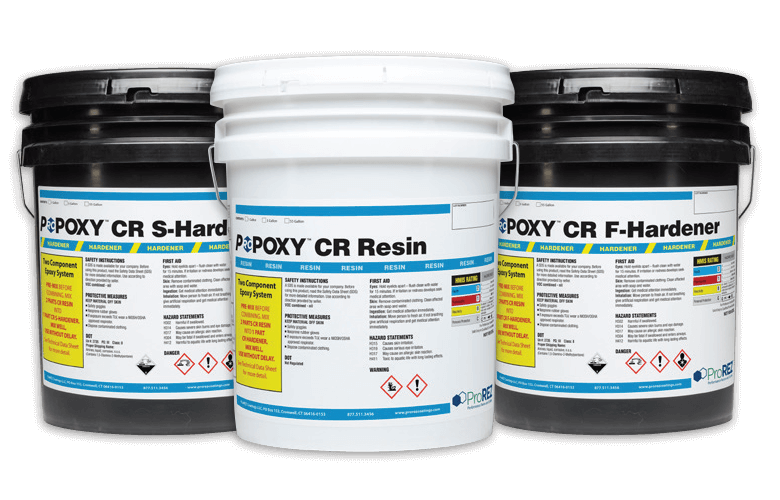 ProPoxy CR is a two component (2:1), high solids, novolac epoxy coating system with exceptional chemical resistance. ProPoxy CR may be installed as a stand-alone coating, slurry binder, or as a clear or pigmented topcoat system. It may be used in conjunction with fiberglass reinforcement for additional impact resistance and strength. 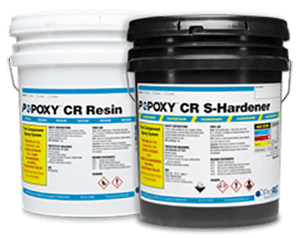 ProPoxy CR provides broad spectrum chemical resistance in aggressive environments against acids and solvents. FlexPoxy is a uniquely versatile and proprietary hybrid epoxy membrane and coating system. FlexPoxy is a clear two component thermosetting, low odor, 100% solids elastomeric polymer designed for various conditions and substrates. Reference technical data sheet for more information.